Wife has been wanting a newer vehicle for awhile, so gave Tony and Monte a call to see what they could do for us. 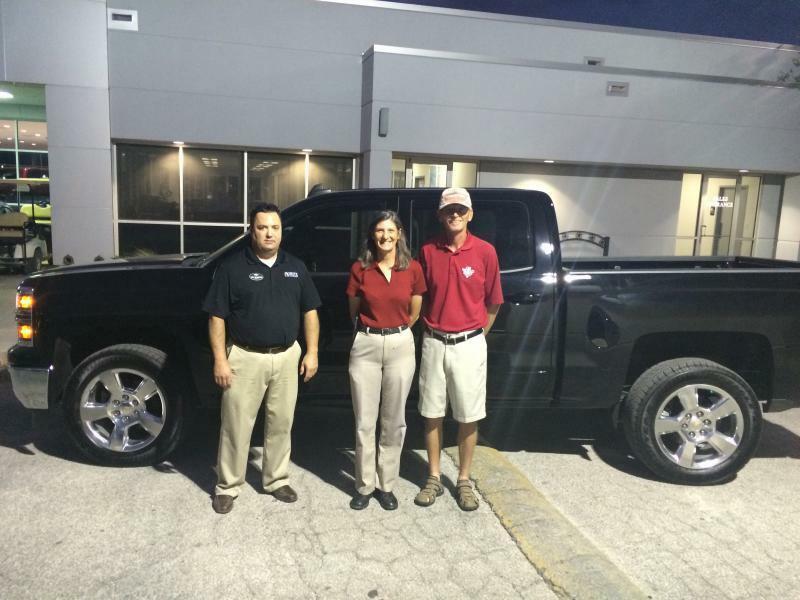 Can't say enough great things about our experience at Moritz Chevy! The easiest new vehicle buying experience we have ever had. Thanks again Tony and Monte for a great buying experience. LaQuita loves the new truck. I just hope I get to drive it once in awhile. Nice ride, Carl, and a great choice going to Moritz! Thanks everyone. Sure looked good sitting in the driveway this morning. I didn't think about that. Heck I may never get to drive the truck or boat anymore. Nice!! Congrats. Great lookin pickup! You must have gotten a screaming deal. Tony looks like he's been put through the ringer Congratulations on the new truck! If you like spending more or wasting money that would be a good idea. Nice looking wifey and truck. I agree. She must have put Tony thru the ringer. He looks beat down. I was wondering if that was Tony. He looks beat up for sure! Congrats SM - nice truck! Good looking truck! Dang it's big! Thanks guys we appreciate your business!!! I'm fighting back pain and yesterday was definitely a whirl wind of a day. Carl and La Quita were dream customers and we greatly appreciate there business. Please let us know if we can do anything for you in the future.